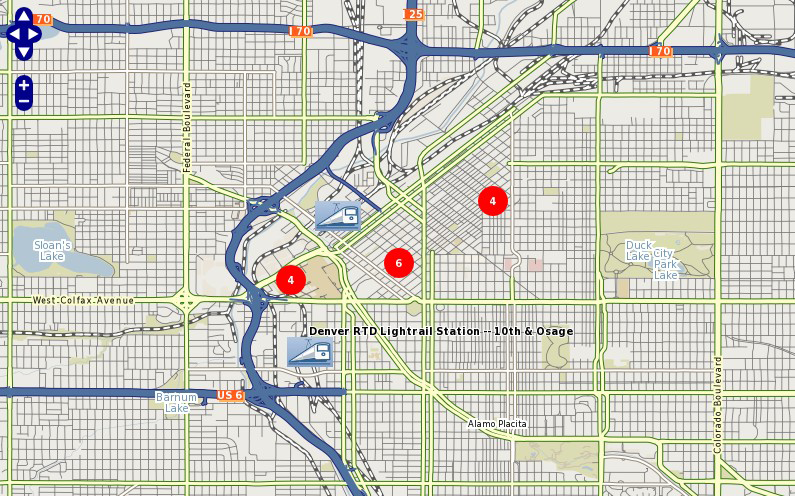 Since version 6.0, MapServer has the ability to combine multiple features from a point layer into single (aggregated) features based on their relative positions. Only POINT layers are supported. This feature was added through MS RFC 69: Support for clustering of features in point layers. Only layers of TYPE POINT are supported. Specifies the distance of the search region (rectangle or ellipse) in pixel positions. Defines the search region around a feature in which the neighbouring features are negotiated. Can be “rectangle” or “ellipse”. Defines a buffer region around the map extent in pixels. Default is 0. Using a buffer allows that the neighbouring shapes around the map are also considered during the cluster creation. This expression evaluates to a string and only the features that have the same group value are negotiated. This parameter can be omitted. The evaluated group value is available in the “Cluster_Group” feature attribute. We can define the FILTER expression filter some of the features from the final output. This expression evaluates to a boolean value and if this value is false the corresponding shape is filtered out. This expression is evaluated after the the feature negotiation is completed, therefore the “Cluster_FeatureCount” parameter can also be used, which provides the option to filter the shapes having too many or to few neighbors within the search region. If you are using MapServer version 6.x these attributes contain a « : » in their names instead, such as Cluster:FeatureCount & Cluster:Group. The « _ » was changed in MapServer 7. These attributes (in addition to the attributes provided by the original data source) can be used to configure the labels of the features and can also be used in expressions. The ITEMS processing option can be used to specify a subset of the attributes from the original layer in the query operations according to the user’s preference. We can use simple aggregate functions (Min, Max, Sum, Count) to specify how the clustered attribute should be calculated from the original attributes. The aggregate function should be specified as a prefix separated by “:” in the attribute definition, like: [Max:itemname]. If we don’t specify aggregate functions for the source layer attributes, then the actual value of the cluster attribute will be non-deterministic if the cluster contains multiple shapes with different values. The Count aggregate function in fact provides the same value as Cluster_FeatureCount. The following example uses a point datasource, in this case in KML format, to display clusters of railway stations. Two classes are used: one to style and label the cluster, and one to style and label the single railway station. Since we can’t declare 2 labelitems, for the single railway class we use the TEXT parameter to label the station.